Earn a Bachelor of Arts or a Bachelor of Science degree from Simon Fraser University, while studying at both Douglas and SFU. Note: if you have completed more than 45 university transfer credits, you are NOT eligible for this program. The SFU - Douglas Degree Program allows you to move freely and easily between both institutions to complete the requirements of a Bachelor of Arts (BA) or Bachelor of Science (BSc) degree from Simon Fraser University. Get the benefits of studying in both a smaller college environment and a larger university setting. This is not the same as transferring from Douglas to SFU. Transferring usually involves leaving a college to attend university and submitting a request to the university to give you credit for college courses. Once you transfer to university you cannot go back to the college to complete additional credits without permission. The SFU - Douglas Degree Program is much more flexible. Convenience: your official Douglas College transcript will be sent to SFU at the end of each semester you attend Douglas College. For a complete list of eligible departments, schools and programs, please visit the Faculty websites. Applications for admission to the SFU - Douglas Degree Program are processed through SFU. Apply online through the SFU Prospective Undergraduates site. You must meet SFU's admission requirements for the Faculty of Arts and Social Sciences at SFU (BA) OR the Faculty of Science at SFU (BSc), OR the Faculty of Environment (BA/BSc). If you have more than 45 university transferable credits you are not eligible for this program. If you have completed 24-45 credits of university transferable courses, admission will be based on your college grades. If you have completed fewer than 24 credits of university transferable courses (or if you are in secondary school), admission will be based on your secondary school grades. Detailed info on admission requirements can be found on the SFU admissions website. Successful applicants will receive an offer of admission as well as an invitation to attend an orientation session at SFU. 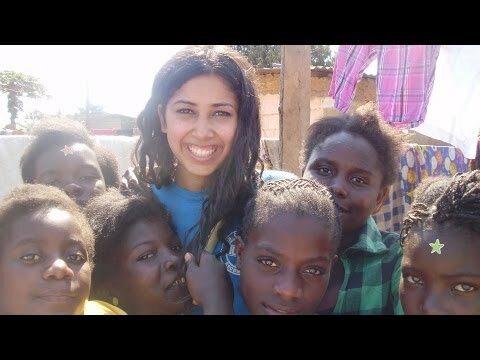 International Studies student Anoop Virk empowers girls in Africa.